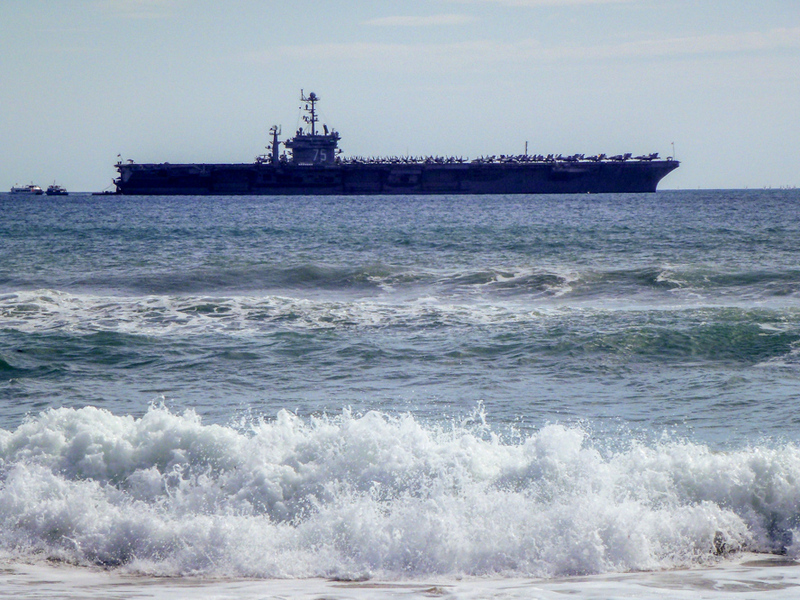 USS Harry S. Truman was anchored in the Bay of Palma de Mallorca yesterday. The navy ship is visiting Mallorca with a total of 5,680 Navy and Marine Corps personnel, plus 82 officers. The Truman is a nuclear powered aircraft carrier and comes with a capacity of 90 aircraft, including fixed wing and helicopters. She was built between 1993 and 1996 and delivered to the United States Navy in 1998. The photo was taken in Palma de Mallorca, Baleares, Spain. The date: April 4th, 2014.